It’s been a while since I wanted to try BabylonJS, but as all of you, I had some projects on the run that I wanted to finish AND release ;). So finally, two months ago, I took the time to start a little project, only to discover the framework, with the usual tutorials like creating spheres, cubes, adding lights and camera. I even installed blender to do some 3d modelling in order to get an export (nothing extraordinary – it’s a pity, I used to be good at that, but it was ten years ago on 3dsMax …). After the tutorials, I needed an idea to start with. 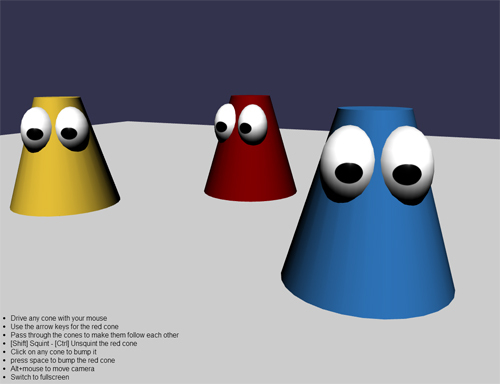 About two years ago, I made a little ThreeJS project presenting one of the roller skating slalom cones I used to draw on my comic strips.